Reading vs Blackburn predictions ahead of this Championship clash on Wednesday night. Read on for our match preview and free betting tips. 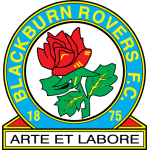 After consecutive defeats, Blackburn will be glad that they’ve got a more straightforward game this week. 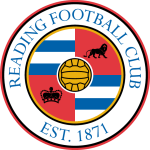 The visitors had gone up against two of the league’s most in form sides in recent clashes, but they are now clashing with a Reading side who are fighting against the drop. The hosts have huge pressing issues, while the away side still harbour hopes of making their way into the playoffs as they chase back to back promotions. Can the boost their hopes of making the top six with an away win? Reading are fresh from a point which keeps them in touching distance of safety. They were unable to edge out Sheffield Wednesday in their weekend trip, coming back with a draw. They remain just narrowly shy of Rotherham, with a decent defence meaning that the hosts have the edge on the sides around them in terms of goal difference. All they need is to start edging games with narrow wins. Is that something they’ll start here? Blackburn have lost their last two, and their away form is a problem. With only four wins in 15 trips, Rovers are far from effective on their travels. That could be a problem here, which puts their playoff hopes in danger. Their away form is what has held them back in terms of the playoff race, which has likely to end up costing them a chance of making it back to the top flight. While they are facing a relegation-threatened side, it’s not likely to get easier for Blackburn this week. Of late, the Royals have managed to make improvements, as they chase survival. José Gomes has kept two clean sheets in three home Championship games as Reading manager, only one fewer than predecessor Paul Clement managed in 14 games at the Madejski Stadium (3). The new manager has been pivotal in keeping them in contention, but it hasn’t been the most exciting period. The Royals are looking stodgy, but they are getting better results. Gomes has only seen over 2.5 goals land in two of his 10 games in charge, including a narrow 2-0 loss at Man United. Overall, Readings last 11 Championship games have seen fewer than three goals on nine occasions. Four of their five home games under Gomes at home have been low scoring, while they come into this one with back to back clean sheets behind them. We see another solid effort from the hosts, so we’re backing under 2.5 goals in this clash. Reading have won none of their last 10 matches played on Wednesday in all competitions (D4 L6) since a 1-0 win over Leeds in September 2013. Blackburn have won just one of their last 10 away matches in all competitions (D3 L6), a 2-0 win at Millwall in January. Seven of Blackburn’s last 11 away Championship goals have been scored via set pieces (two penalties, five free-kicks).